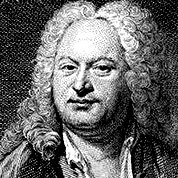 Silvius Leopold Weiss was a German composer and lutenist. Weiss was one of the most important and most prolific composers of lute music in history and one of the best-known and most technically accomplished lutenists of his day. He wrote around 600 pieces for lute, most of them grouped into ‘sonatas’ or suites, which consist mostly of baroque dance pieces. Baroque Era. time signature 3/4. Key of E minor. 71 measures. 6 pages.